Hi my name is Christy and I’m a Female Personal Trainer in Jacksonville, FL area. Whether you want to improve strength, flexibility, or shed body fat, I can create a personalized plan to get you there. Leading a busy life does not have to be a barrier to getting fit. The truth is, it doesn’t take a lot of time, money, expensive equipment or even a gym membership. The biggest hurdles we face are lack of motivation and accountability. It’s hard to take the first step and continue with any consistency without someone who will hold you accountable. As a busy professional and mother of a young daughter, I can relate to the struggles we have trying to balance it all. I help people through personal planning and goal setting and bringing my clients tools and tips to achieve what they want out of their fitness goals, even when working long days and taking care of a family or important relationships. I’ve been there, and can show you how to do it well, too. It’s easy and convenient – we workout where YOU are. Workouts are simple and customized per client. Most workouts are short but high-intensity You’ll see results quickly that will keep you going And, maybe the most important thing – you’ll have a positive partner and motivator. As your trainer and fitness advisor, I will provide: Accountability, motivation, continuous progress, consistent workouts and an efficiently designed fitness plan that’s a lot of fun! 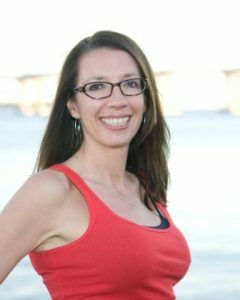 Learn more about Personal Training in Jacksonville FL with Christy. Submit your name, e-mail, address, city and any comments/ questions you might have.